First Aid, CPR and BLSD Training Sessions for Regal Italy Rescue Teams were completed on September 21, 2017 in Inzago. 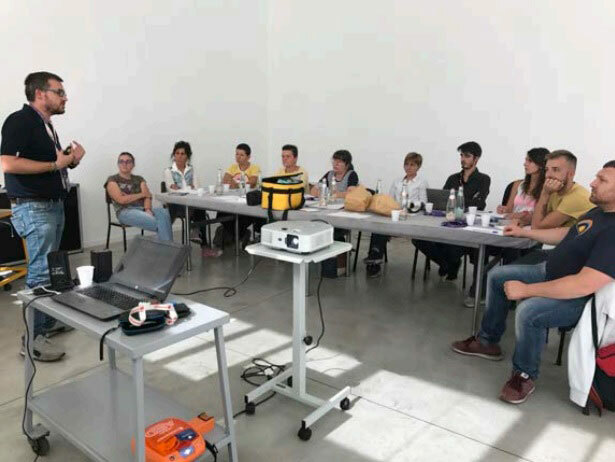 A total of 17 members participated in the training conducted by the staff of the charity organization “Salvagente Italia“. The participants are active team members in both locations and needed the periodic refresh on First Aid. 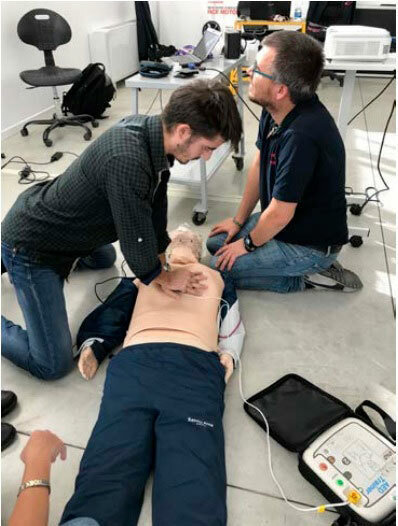 Since the decision to purchase two Defibrillators (for Senago and Inzago locations), the training was conducted also to cover CPR and BLSD, with an extensive learning program over 16 hours. During the practical sessions, the teams managed a trial call to 112, in order to experience a rescue exercise and assess their capabilities to react in case of a cardiac arrest. Defibrillators installed in Inzago and Senago facilities are tracked and georeferenced within the Emergency Information System of the Regional Emergency Room System; in this way, in the event of a phone call because of a heart case, a device will be available near the event and trained employees can provide first help.